Gov. 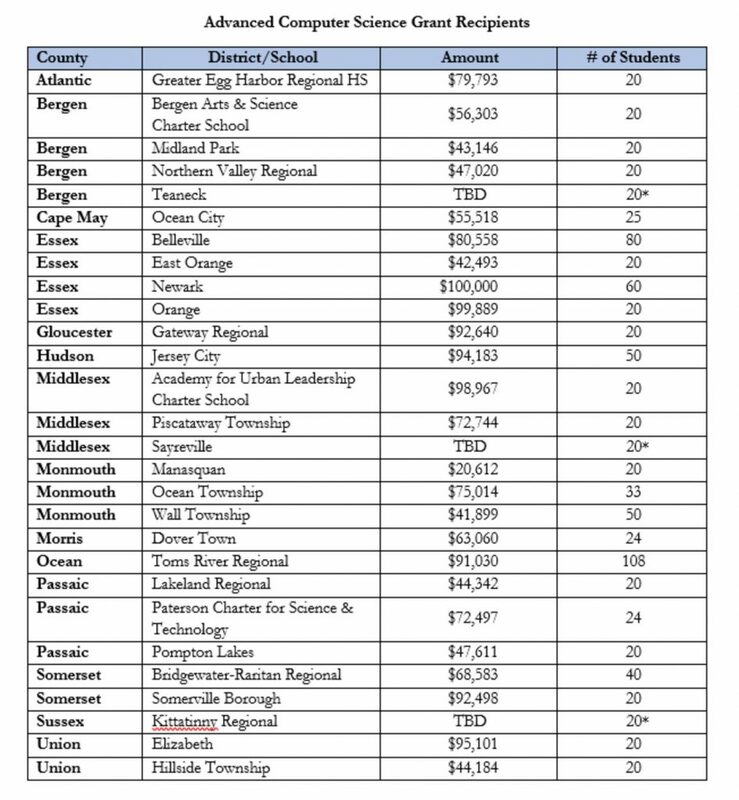 Murphy and the New Jersey Department of Education on Jan. 30 awarded a total of $2 million in advanced computer science grants to more than two dozen schools across New Jersey. The funding expansion marks the first time New Jersey has specifically funded an expansion of computer science education and will give 900 additional high school students access to computer science coursework. “One way to supercharge our economy is by advancing cutting-edge technology coursework in our schools,” said Murphy, who announced the grant awards during a visit to Belleville High School in Essex County. Schools that received the grants may use the funding in the 2019-2020 school year to implement courses that allow students to earn college credit while still in high school. Grant funds can also be used to encourage students to take the highest level of Advanced Placement courses, offer summer bridge programs to prepare students for the rigor of advanced computer science coursework; or to provide classes that can lead to a credential recognized in the tech industry. Professional development for teachers is also a key component of the grant initiative. Preference was given to schools that receive federal Title I funds.